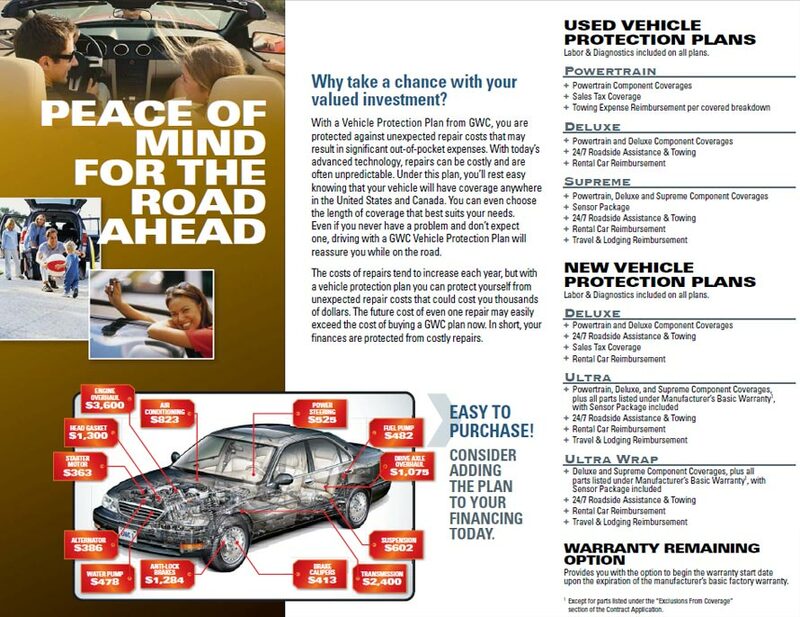 We offer warranties on most of our vehicles at an additional cost. 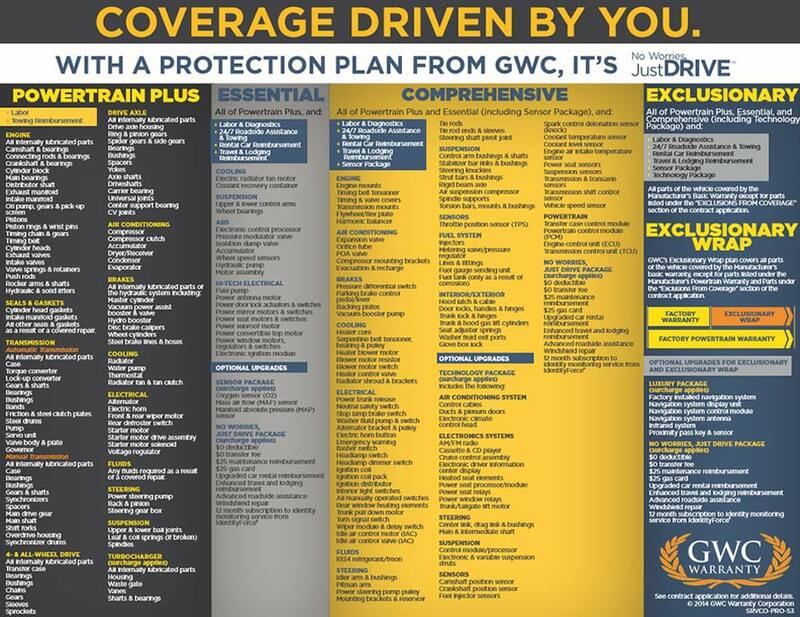 We know that protecting your investment is important to you and it's important to us which is why we offer our customers GWC Warranties. We have several different service contracts with various terms and coverages that will suit your needs.